What do you call a biologist who uses bioinformatics tools to do research, but doesn't program? You don't know? Neither does anyone else. The names we use People who practice biology are known by many names, so many, that the number of names almost reflects the diversity of biology itself. Sometimes we describe biologists by the subject they study. Thus, we have biologists from anatomists to zoologists, and everything in between: addiction researchers, chronobiologists, epidemiologists, immunologists, microbiologists, neuroscientists, pharmacologists, physiologists, plant biologists, virologists and many, many more. Sometimes biologists are described by their favorite tools or technologies, especially in the 'omics arena. Geneticists, for example, often study biology by making or identifying mutants and messing around with genes. Biochemists do biochemistry. Synthetic biologists synthesize new genes and proteins. And so on. Of course the techniques and subjects overlap. A cancer biologist might use genomics technologies and immunological tools like antibodies. A biochemist might study the enzymatic properties of mutants. Researchers rarely limit themselves to one kind of assay or tool. Matching the name to the career Still, the names of biology subfields are pretty useful for those of us who advise students or write about careers, even when the names are fairly general. The distinctions between fields help students who are researching potential careers and picking a major. It's fairly straightforward to figure out the difference between a microbiologist and a conservation biologist. Likewise, a student can get an idea what a biochemist might do by picking up a textbook on biochemistry or reading about biochemistry in Wikipedia. Finding job descriptions for people who work at the interface of technologies is harder. In the case of bioinformatics, it's also complicated by the name of the field and the lack of a distinction between the people who make bioinformatics resources and the people who use them. Certainly, very few science instructors or even many practicing biologists for that matter seem to know what bioinformaticists actually do. What is a bioinformaticist? Over the past ten years, however, if you work in an 'omics-related field, you can see that a kind of consensus has emerged about bioinformaticists and their jobs. A bioinformaticist is someone who is involved in programming, or creating bioinformatics algorithms, software, or databases. If you were to apply for a job with "bioinformatics" in the title, you might be expected to set up servers, install software, write some shell scripts, and do some programming. Nevertheless, outside of 'omics research, people have a strong tendency to confuse tool builders with tool users. This confusion between the tool builders and tool users (biologists) causes problems for both instructors and students. 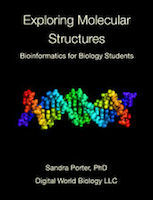 Bioinformatics education programs can vary widely between colleges and the courses vary as well. For example, if you took either of the classes that I teach, you would learn how to use bioinformatics tools for doing biological research, but you would not learn how to program. I call the courses "bioinformatics" but they are really biology courses without a better name and lots of computer work. [ Believe it or not, I always seem to get a students who are surprised to learn that bioinformatics involves using computers. We even had a high school teacher complain that a bioinformatics workshop involved too much time in the computer lab.] Because of the confusion, we find students who want to learn how to program and get disappointed because they they can't practice those skills and biology students are get scared away from bioinformatics courses that require them to use command line tools. Neither group gets served well when we fail to make the distinction ourselves. Let's start a new group and call them digital biologists. The term "bioinformaticist" has evolved a definition. That's a good thing. But what do we call biologists (like me) who use software and other bioinformatics resources as their primary research tools, but do not program? No one seems to know. The terms I hear the most are: "user" and "customer" Neither of these terms work. Both are way too general and I'm definitely not fond of "user." Ever since someone told me that only two groups that call their customers "users" are drug dealers and software engineers, the term "user" has made me cringe. So I propose we follow the lead that the NIH began at the Digital Biology conference in 2003 and christen the biologists who use digital tools for research, i.e. bioinformatics tools "digital biologists." Happy 2010 from a digital biologist.